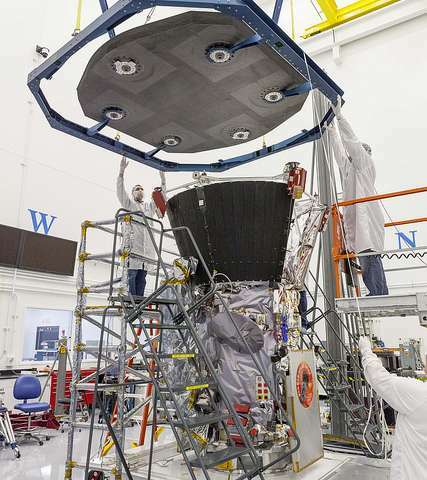 On Sept. 25, 2017, media were invited to see NASA's Parker Solar Probe in its flight configuration at Johns Hopkins Applied Physics Laboratory in Laurel, Maryland, where it is being built. The revolutionary heat shield that will protect the first spacecraft to fly directly into the Sun's atmosphere was installed for the first time on Sept. 21. 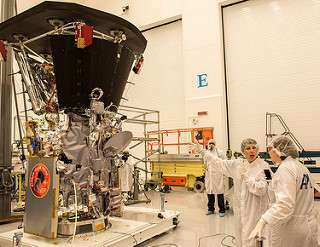 This is the only time the spacecraft will have its thermal protection system—which will reach temperatures of 2,500 degrees F while at the Sun—attached until just before launch. 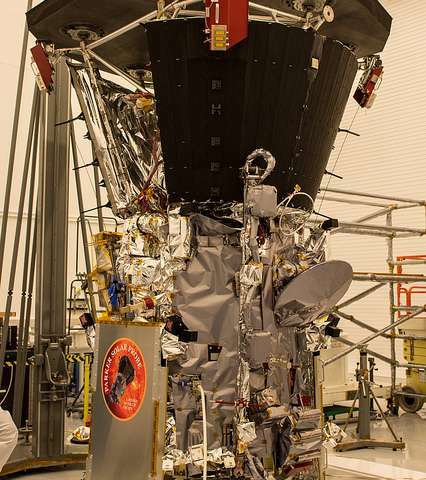 Parker Solar Probe is scheduled for launch on July 31, 2018, from Cape Canaveral Air Force Station, Florida. The spacecraft will explore the Sun's outer atmosphere and make critical observations that will answer decades-old questions about the physics of how stars work. The resulting data will improve forecasts of major space weather events that impact life on Earth, as well as satellites and astronauts in space.